Verity Health System announced Tuesday it may sell some or all of its six hospitals as it works to fix the financial and operational problems that have dogged the safety-net provider for years. The Redwood City, Calif.-based health system has undergone significant ownership changes in recent years. One year ago, Los Angeles-based health technology company NantWorks, led by controversial entrepreneur Dr. Patrick Soon-Shiong, announced it had acquired a majority stake in Verity's management company. Rich Adcock, who was named Verity's CEO in January, said in a statement that the board and management's top priority is to establish a sustainable, long-term path forward for the system's hospitals, which are critical to the communities they serve, including Los Angeles and San Jose. "Pursuant to Verity's strategic plan, we are exploring a number of options to deleverage our balance sheet and address challenges our hospitals face after a decade of deferred maintenance, poor payer contracts and increasing costs," he said. "As the board and management team work together to evaluate these options, the interests of our patients, employees and communities remain paramount." A spokeswoman for Verity declined to comment beyond the news release, which said that Verity's board has not yet made any financial decisions related to strategic options and will share additional information once it does. The release said Verity is considering a range of options, including the sale of some or all of its locations. It lists Cain Bros. as the company's financial adviser. The firm declined to comment for this article. The release also says the law firm Dentons is serving as Verity's legal adviser. A Dentons representative did not return a request seeking comment. Verity changed its name from the Daughters of Charity Health System in December 2015 when New York-based private equity firm BlueMountain Capital Management pledged to invest up to $260 million to turn around the struggling system in exchange for a lease on its information technology assets. The firm also was given the option to purchase Verity within three to 15 years. The deal, which required approval from California's attorney general, included creating a new management entity called Integrity Healthcare. A representative for BlueMountain wrote in an email that the company's funds sold a majority interest in Integrity to NantWorks last year and declined to comment further. But the cash infusion apparently hasn't solved Verity's financial and operational problems. 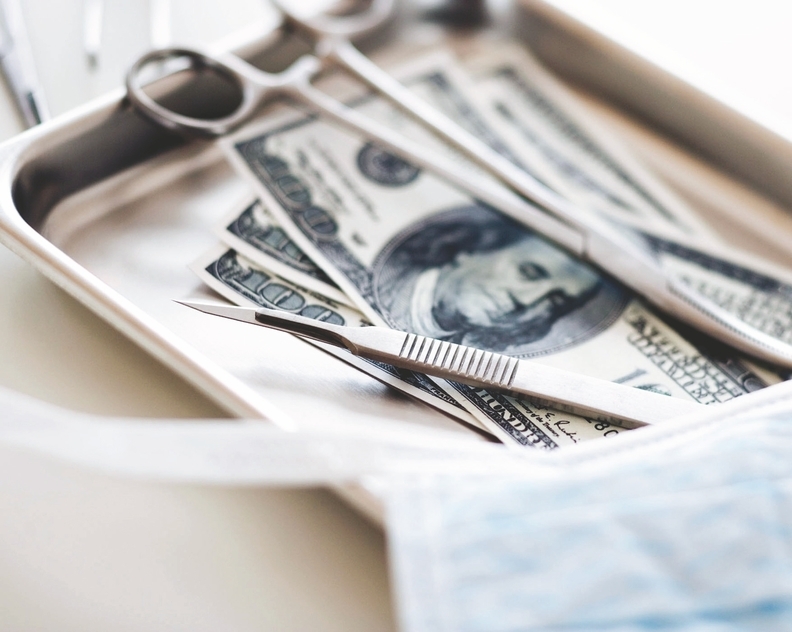 In the nine months ended March 31, the health system recorded an operating loss of $55.8 million, or a negative net margin of 4.6%. That includes $125.6 million in net income from a California hospital fee program. The system saw an $11.2 million operating loss in the same period ended March 31, 2017, or a negative operating margin of 1%.